It really should be called The Big Green Apple because NYC is bursting to the seams with plant-powered restaurants, markets and shops. My recent trip was full of incredible food and, of course, drinks because y’all know how much I love a good wine or cocktail! 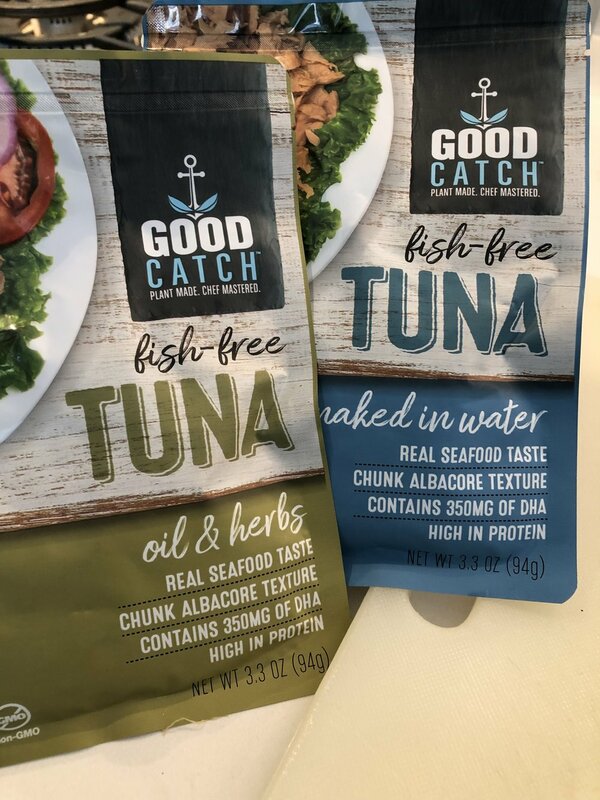 The first thing I did was to hit Whole Foods and grab some Good Catch Tuna for lunch. I added diced red onion, celery, vegan mayo, a bit of mustard, a generous squeeze of lemon juice, salt & pepper and some leafy lettuce. It. Was. AH-mazing! Check out some video highlights from my trip (below) and make sure to put these spots and events on your list next time you’re in New York! Orchard Grocer, Moo Shoes and Vegan Drinks NYC are definitely on my go-to list!